The nine-week program allows kids to compete in games like NBA 2K and FIFA. Traditional sports have long been a staple in kids’ extra-curricular programs throughout early grade schools to prepare them for high school and collegiate competitive scenes. But with esports now making its way into colleges and even some high schools around the globe, there have yet to be many efforts to bring competitive gaming to younger kids—until now. Kids in the Game is a nonprofit organization providing after-school programs for over 25,000 students in more than 60 schools across New York City. Recently, the organization teamed up with the Overwatch League team New York Excelsior to integrate esports into its sports-based curriculum, giving middle school students a chance to compete in tournaments against other schools. The program teaches kids how to play games like FIFA and NBA 2K. Students then take the skills they’ve learned in games and apply them to the physical field or court. But the kids are learning more than just how to push buttons or shoot hoops. They’re learning teamwork, sportsmanship, camaraderie—essential skills that will serve them throughout the rest of their lives. The students are becoming leaders, working with and helping one another learn the ins and outs of the games. After learning how to play the game, the students then get the chance to apply their newly-honed skills on the digital court in tournaments against other schools. In teams of two, the students compete in front of each other in an offline setting—one that encourages competition in a safe and friendly environment. 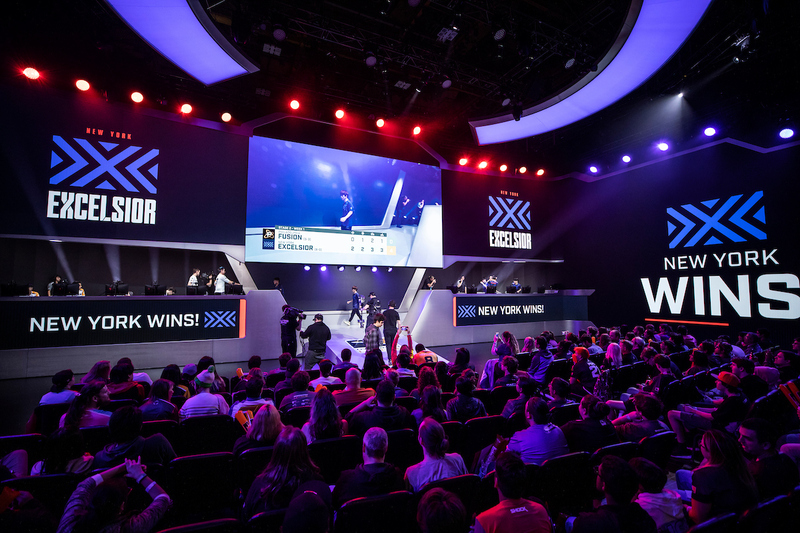 Since its debut in the Overwatch League, NYXL has built close ties with its fan base and created new ways for communities in the tri-state area to get involved in esports. From high school and collegiate tournaments to social media campaigns, the franchise has inspired young people across the globe to partake in the esports scene. With the boom in popularity surrounding esports, NYXL is helping kids compete in esports early on, potentially opening doors for them to pursue careers in professional gaming—just one more way the franchise is giving back to communities in the Empire State.